The Congress sought an apology from the Prime Minister, saying he had mocked the democratic system by insulting three political parties and asked whether a Prime Minister should use such language. Opposition parties reacted angrily to Prime Minister Narendra Modi’s ‘sarab’ (liquor) jibe at the SP-RLD-BSP alliance in UP. The Congress sought an apology from the Prime Minister, saying he had mocked the democratic system by insulting three political parties and asked whether a Prime Minister should use such language, and whether his remarks amounted to violation of the model code of conduct. 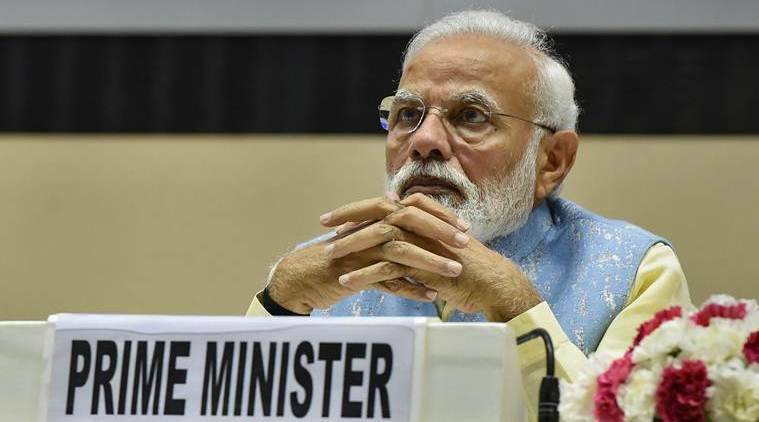 The Congress, which was denied a space in the SP-BSP-RLD alliance, said the Prime Minister, like a “flop actor of a flop film”, is coming out with acronyms everyday. He wondered whether the Prime Minister’s remarks amounted to a violation of the model code of conduct. “The Prime Minister has mocked the democratic system by equating three political parties with ‘sharab’… he should apologise to the 130 crore people of the country… otherwise, people of the country, and particularly those of Uttar Pradesh, will never forgive you… You are so drunk on power… I don’t think any other politician would have stooped so low,” he said. AAP Rajya Sabha MP Sanjay Singh said only a small-time leader, not a Prime Minister, can use words like “liquor, opium, heroin, cocaine” for political parties.